Just Flight - New to Flight Sims? Flying on your home computer using flight simulation (FS) software is accessible, rewarding, great fun and can substantially improve your understanding of real-world aviation. The processing power of today’s PCs means that virtual flying is both extremely realistic and also affordable. Getting started in flight simulation can be a mystifying process, so here are some Frequently Asked Questions which should help you if you’re thinking of getting airborne on your PC. WHAT EXACTLY CAN I FLY IN A PC FLIGHT SIMULATOR? The short answer is… almost anything that can be (or has been!) flown in real-world aviation. One of the most appealing aspects of flight simulation is that there are absolutely no limits on what you can fly or where you can fly it. You can hop a memorable hundred yards in the Wright Flyer, flash across the Atlantic in Concorde, or perhaps you’d prefer a sortie in a classic Spitfire or a mission in a modern Tornado or Falcon. Test your skills in an aerobatic competition, captain a modern airliner or even manage and fly for your own air freight company. It’s possible to fly civil and military planes from every era of aviation - helicopters, jets, microlights, gliders and propeller-driven aircraft. The entire world is available for you to fly in, from Antarctica to Zanzibar and all points in between. It’s up to you whether you take off from your local grass airstrip or the busiest international airports around the world. Practising a touch-and-go in a Cessna is as accessible as shooting an ILS approach in a Jumbo Jet. You can fly the exact same airline routes that exist in the real world, or create your own flight plans and visit countries and places you’d never normally have the opportunity to visit. DO I NEED TO BE A COMPUTER EXPERT TO ENJOY PC FLIGHT SIMULATION? Not at all, although basic familiarity with the day-to-day operation of a PC will obviously be necessary. Flight simulation software and hardware are designed to install easily and work with a minimum of fuss, and FS enthusiasts range from those still at school to virtual pilots who are long past retirement age and are using computers specifically to enjoy simulated flying. WHAT EQUIPMENT DO I NEED TO GET STARTED IN FLIGHT SIMULATION? Getting airborne requires a minimum of equipment (hardware) and flight simulation programs (software). Hardware - You’ll need a reasonably powerful PC, but nothing that isn't readily available from your usual PC retailer. We’d suggest, as a minimum, that you have a Desktop PC running the Windows 7, 8 or 10 operating system, a modern processor (such as the latest generation of Intel Core i7) with a speed of 2GHz or faster, 8GB of RAM, a dedicated graphics card with at least 512MB of RAM, 500GB of hard drive space (1TB or more is even better), mouse, sound card and speakers. Laptops are generally not suitable as they are usually lower powered in the processing and graphics areas, and often have smaller and slower hard drives. It’s worth noting that a good ‘business’ machine may not be as suitable as a machine designed for gaming - the quality of the graphics card is particularly important for flight simulation. Generally speaking, the better specified the PC, the better the visuals and fluidity of your FS experience will be. We’d also recommend a joystick or yoke to control your aircraft. Most FS flyers start with a joystick (which includes a throttle, rudder controls and various button assignments) and this is perfectly adequate for enjoyable flying. We’d recommend buying a joystick with a ‘hat switch’ (a thumb-operated multi-position control at the top of the stick) which is invaluable for scanning the cockpit and views in all directions. Buying a yoke and rudder pedals is generally the next step, although certainly not essential, and will replicate even better the sensation of flying a real aircraft. 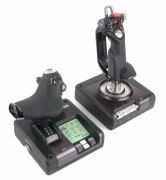 A good joystick shouldn’t cost any more than £50 (some perfectly suitable ones can be had for less) and a yoke and rudder pedals can be bought for around £200. Software – There are a number of excellent PC flight simulation programs on sale, and FS newcomers are currently spoilt for choice. Microsoft’s Flight Simulator series, which has been around in ever improving versions since 1980, is great value in terms of performance, value and popularity. Flight Simulator X (FSX) really is a fantastic program which immerses you in a beautifully rich and realistic world; it includes dozens of aircraft and lets you fly anywhere in the world. X-Plane is another increasingly popular stand-alone sim which has been continually refined over the years and is renowned for the accuracy of its flight dynamics. The latest version - X-Plane 11 - provides a significant advance on previous versions in terms of the user interface and graphical upgrades. Lockheed Martin's Prepar3D (often referred to as P3D) is not, strictly speaking, sold as a home PC simulation, but is based on the FSX code and has now become the sim of choice for many previous FSX users. The latest v4 edition provides an impressive sim environment with all the benefits of FSX and ongoing development which provides many improvements in each successive version. Also now available is Dovetail Games' Flight Sim World, which has also been developed with Microsoft's Flight Simulator X code as a starting point. It's currently in 'Early Access' mode, which is to say that it's perfectly flyable at the moment but still in development, meaning that it will only improve and expand as the months go by. The range of add-ons for FSW is currently very limited when compared to what is available for sims such as FSX, P3D and X-Plane, but there are sure to be more available once the sim reaches the end of the Early Access period. There are several other stand-alone simulations available, including combat sims - the IL-2 Sturmovik series of combat simulations has attracted a huge and active community of pilots, as has Digital Combat Simulator World (DCS World). The decision as to which one(s) you should buy will depend to a large extent on your personal preferences and the sort of flying you plan to do. We'd suggest chatting to as many current FS pilots as you can to get a better idea of what all the available sims have to offer before committing yourself to one platform or another. WHAT EXACTLY ARE A 'STAND-ALONE' PROGRAM, 'ADD-ON' AND 'FREEWARE'? A stand-alone program (such as Flight Simulator X, Prepar3D, X-Plane or Flight Sim World) is one that doesn’t need any additional software for it to work. You can buy it, install it on your PC and go flying. With a copy of one of these sims you certainly won’t be stuck for aircraft to fly or places to go, but there is much more that you can add to improve your FS world. Add-ons (or expansions, as they are sometimes known) are extra programs designed to expand the host flight simulator program in specific areas which either haven’t been included (additional or more highly detailed aircraft, for example) or could be improved (more detailed airports, specialised cockpit avionic systems, improvements to the terrain and so on). As the name suggests, add-ons need a stand-alone sim with which to work (i.e. a ‘host’ sim), and the host sims in which a particular add-on will work are always clearly marked. Some add-ons only work in one particular version of a host sim, whereas some may work in several, so always check the specifications before buying. The existence of add-ons shouldn’t suggest that the host sims themselves aren't up to scratch. They're all amazing programs for the price but they can't, obviously, provide every feature every user wants or encompass every single feature of the world and of aviation! The purpose of add-ons is to allow the virtual flyer to customise various aspects of the default FS world to suit exactly the type of flying he or she wants to do. Freeware refers to add-ons which are created by enthusiasts for others to share and are totally free! With an Internet connection you can download thousands of new aircraft, airports and a multitude of other programs, many of which are of the highest quality. There are dozens of websites with enormous libraries of freeware from which you can download as much as you like, perfectly legally! 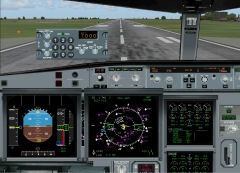 • Utilities – This covers a huge range of additional features, such as flight planners, additional cockpit instrumentation, accurate ATC, weather upgrades to re-create exactly the conditions a real-world pilot might face, and extra airport traffic so that the aircraft you see at an airport is just as it would be in real life. Strictly speaking, no, although we’d strongly recommend it. Firstly, much add-on software is now only sold by Download. Good Internet access will also let you interact with fellow enthusiasts on forums and also allow you to access all the news and information on the many FS websites and enjoy features such as online Air Traffic Control and online weather replicating the real-world weather conditions in the location in which you’re flying. Many Flight Simulators will work perfectly offline, but given the number of freeware programs to download and all the extra features available online which are sure to enhance your flying experience, Internet access does provide genuine benefits to simulated flying. IS THERE ANY DIFFERENCE BETWEEN DOWNLOADS AND BOXED ADD-ONS? Some FS add-ons are only available as boxed software on CD-ROM or DVD-ROM; the vast majority are now only available by download, and some can be bought in both formats. Making products available as downloads has become increasingly popular over the years as it's very convenient and the delivery methods are safe, secure and generally foolproof. Downloads are easily available 24/7 and it's a straighforward process for developers to update their software and pass the updated files on to customers. DO I NEED TO BE AN EXPERT IN AVIATION TO ENJOY FLIGHT SIMULATION? Not at all. While real-world flying is unfortunately beyond the means of many of us, we can still enjoy the next best thing! Some of us enjoy leisurely flights and short hops in light aircraft or historic planes, while others only want to fly helicopters or master the complex cockpit systems of modern jet airliners and the techniques of instrument flying. It’s entirely up to you! IS FLIGHT SIMULATION JUST A SOLITARY ACTIVITY? Far from it. With an Internet connection it can be a very sociable activity. Some pilots fly with Virtual Airlines, some of which are based on the aircraft and schedules of real-world airlines, and this involves flying specific routes in designated aircraft, with reports, promotions and all the trappings of the airline pilot’s career. Others fly online combat missions together in Virtual Squadrons and there are numerous flying clubs which will welcome you as a member; chances are that you’ll find one which caters for the type of flying you want to do. Voice communication software means you can communicate with other online pilots and you can fly using Air Traffic Control provided by an online ATC service staffed by living and breathing controllers and which replicates real procedures as far as possible. A group of enthusiasts in different locations can even crew the same airliner from different cockpit positions. FINALLY - JUST HOW REALISTIC ARE TODAY'S FLIGHT SIMULATORS? Given the constraints of a home PC set-up, today’s sims are impressively realistic. A real-world pilot can now practise a flight he’s planning to make in the real world using accurate representations of departure and destination airports in a simulator, flying over scenery that is developed from actual photographs of what’s on the ground, navigating with navigation aids in their real-world positions, and flying in the real-time weather conditions applicable to the flight route. Indeed, many pilots do just this. The realism of today’s sims is such that the aviation press now regularly features simulation software in its pages and the number of pilots now involved in developing FS software shows that flight simulation is far beyond what you might call a ‘game’. Of course, some add-ons are more accurate than others, but when airline Captains say that a particular simulation of the aircraft they fly day in and day out has amazed them with its accuracy, that should go some way to answering this question! 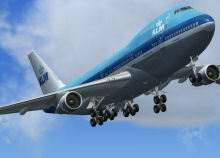 There are hundreds of websites for the flight simulation enthusiast, providing a huge range of services and resources. While several real-world aviation magazines now devote pages to simulated flying, the UK-based PC Pilot is an established and high-quality bi-monthly magazine devoted specifically to flight simulation - it's always an entertaining and informative read! If you’re interested in joining the growing ranks of virtual aviators, we hope these FAQs have been helpful. If there’s anything else you’d like to know, you’re very welcome to contact us by e-mail or use our public forum to post a question. The Just Flight team are Forum regulars and the users are a helpful bunch of enthusiasts who can be relied on to provide helpful answers to any questions you might have. You may also want to check our our Facebook and Twitter pages where there is always lots going on! You can keep up to date with our new releases by subscribing to our free email Newsletters. Our full range of FS add-ons is available on this website, and if you are interested in train simulation our Just Trains website is well worth a visit too!